Click here to read a diary of restoration work written by Terry Waters during in the summer of 1977. 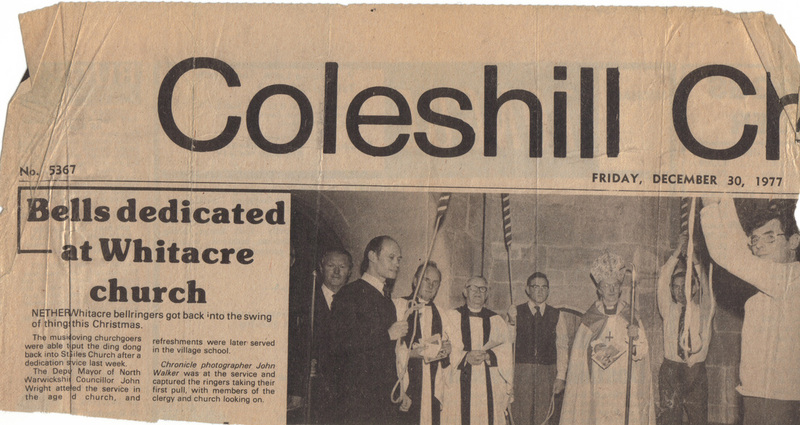 The bells were dedicated at a special service held on Thursday 22nd December 1977. The service was taken by Bishop Mark of Aston assisted by the Rev. Harold Sly Vicar of Hampton-in-Arden and Rev. 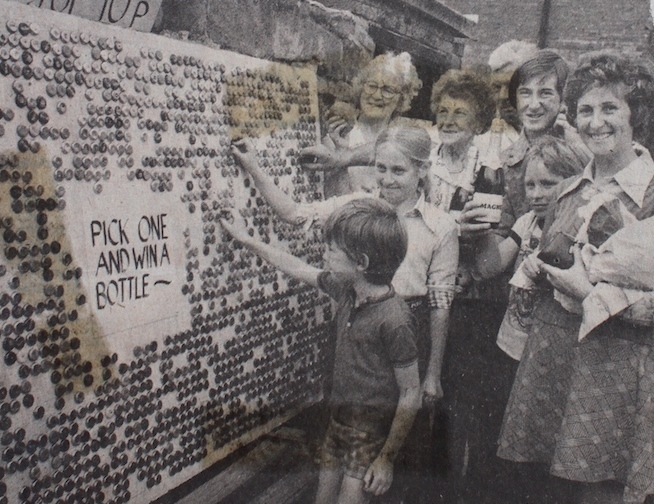 Edwin Clarke of Nether Whitacre. 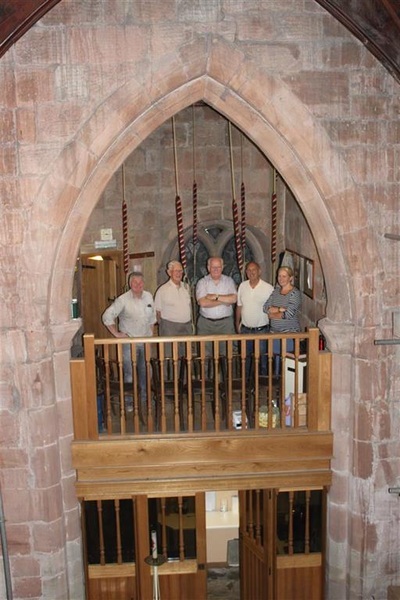 The initial ringing for the dedication was completed by Gordon Lane, Geoff Webb and Maurice Edwards and others with general service ringing taking place after the service with refreshments served in the adjacent village school. 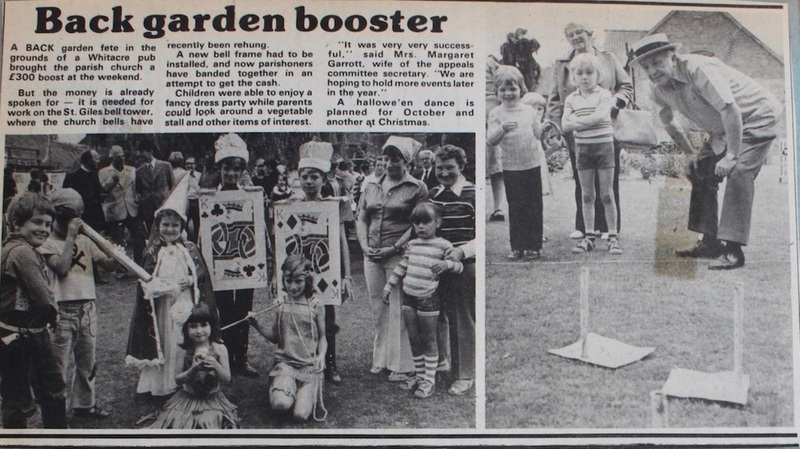 A clip found in a home super 8mm cine film of Quentin Howell ringing the second bell down one cub scout parade sunday in 1979 certainly in the summer months. This is the only film of ringing downstairs that has so far been uncovered and is displayed here despite being silent and not that brilliant in quality. Film courtesy of Mrs M. Loydell. These pictures all dated here 20th November 1987 shows how well the frame and fittings have survived the first ten years after the installation. The tuning marks are still clearly visible but are no longer the bright freshly turned colour they were when first rehung. 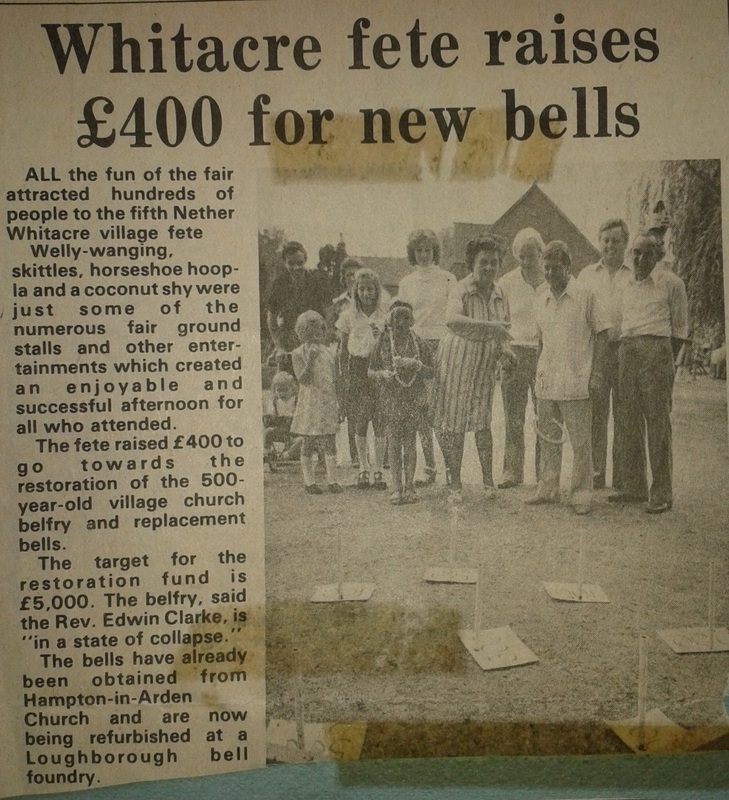 The photos were taken on the occasion of a visit by 1st Nether Whitacre cub scout troup which was repeated on several occasions to aid recruitment as well as to raise awareness of the bellringing exercise. 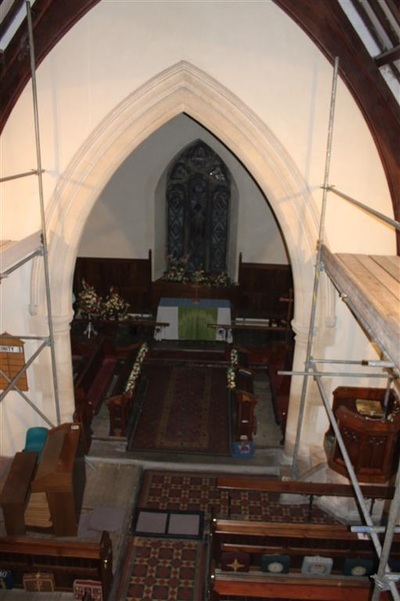 These pictures all dated here 26th June 2014 show an unusual view of the upstairs ringing chamber which is not usually available. 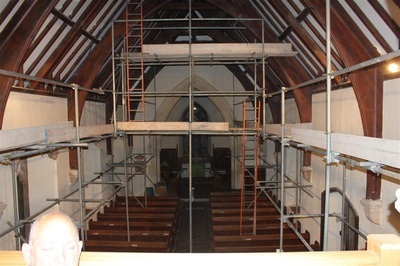 The scaffolding in the church was to facilitate the rewiring of the church.